OP3069. 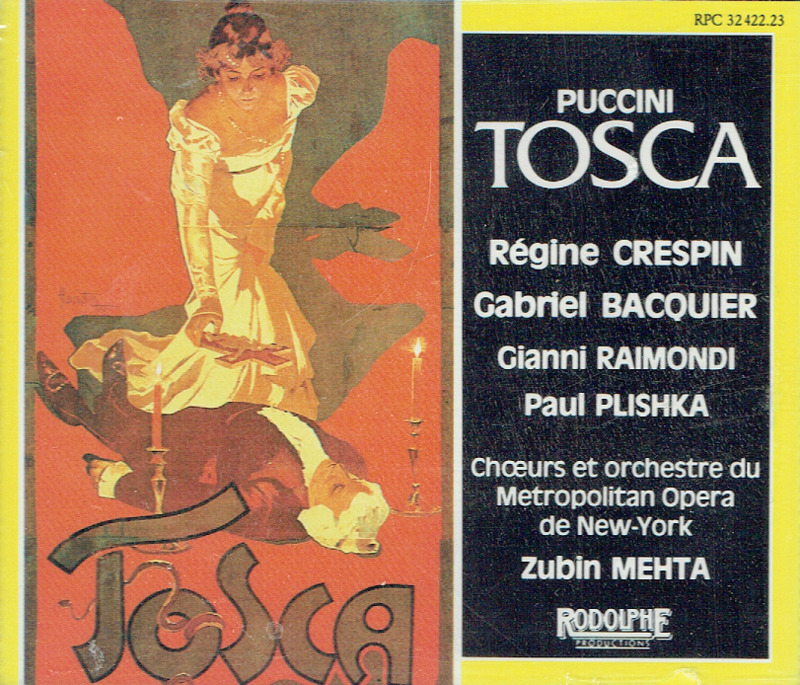 TOSCA, Live Performance, 31 Jan., 1968, w.Mehta Cond. 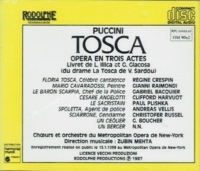 Met Opera Ensemble; Régine Crespin, Gianni Raimondi, Gabriel Bacquier, etc. (France) 2-Rodolphe 32422/23. Very long out-of-print, Final Sealed Copy! 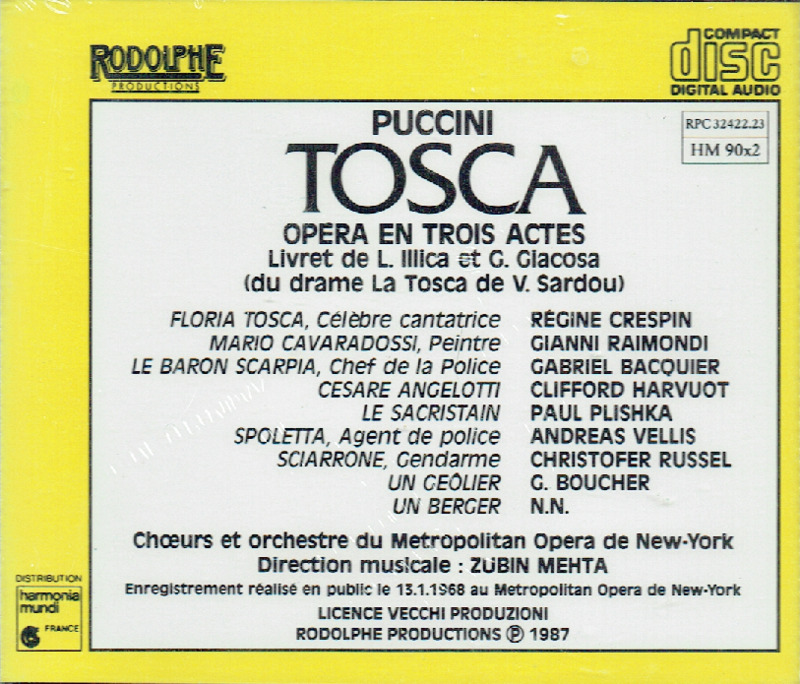 "[Crespin's] Tosca ranks with the best. Crespin is in superior vocal form, the command of her uniquely colored instrument impressive at both ends of the quantity spectrum, with a wealth of intermediate stages to augment expression....the voice possesses a marvelous gloom, its timbre creamy and full, even at half voice....At the precise moment when she demands to know Scarpia's price ('Quanto' uttered low in the chest, like Milanov), Crespin's Tosca is transformed. She changes from woman to negotiator - one can hear adopt a bargaining stance. One regrets this Tosca's fate more than most."